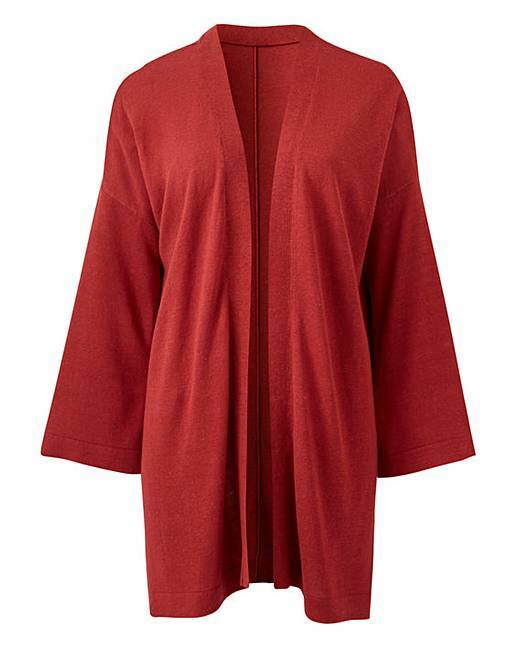 Look stylish this season in this gorgeous linen-mix kimono. Features wide sleeves, side splits and an open front. Fashioned from a soft linen-mix fabric, this cardigan looks great layered over the top of a pair of jeans and heeled sandals.